Hi everyone. Back with a new set of cards to enter the fun over at Debby's blog. This time she wants us to show off our Five Favourite Cards that we made in 2014. I made over 240 cards in 2014 ... so it was hard to narrow down the list to just five. But I did it ... and I noticed a couple of things. I love trying new products and I was really into watercolouring this year ... so when I got my Brusho colour crystals, I couldn't wait to get started! I loved watercolouring this year ... it started out with a lot of frustration, but after trying different ways, I found what worked for me. This is one of my most favourite images to watercolour and I did several of these in different colours. 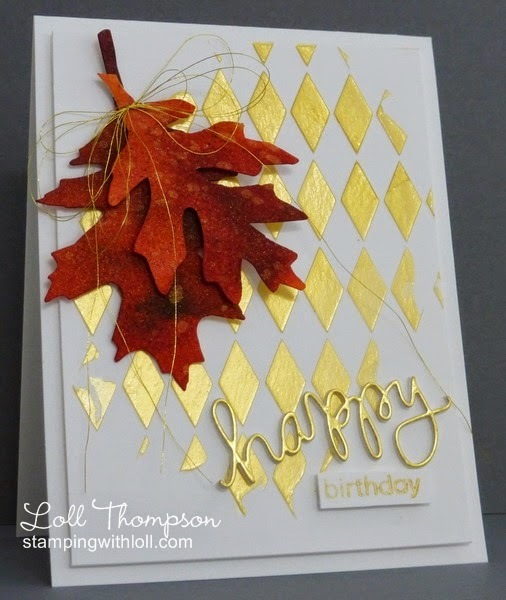 I love working with copper ... and the combination of stenciled, sponged leaves, and stenciled embossing paste design really worked perfectly with the copper on this card. This is one of my first mixed media cards where I went all out. 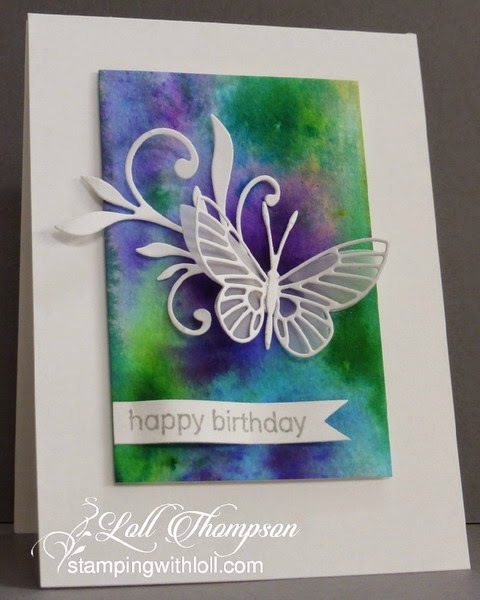 :) I used clear embossing gel that I coloured with gold paint. The leaves were watercoloured and then over-sprayed with gold mist and drops of gold paint --- so sparkly in real life. And then I added the gold strands to finish. I hope you enjoy my look back at the year. 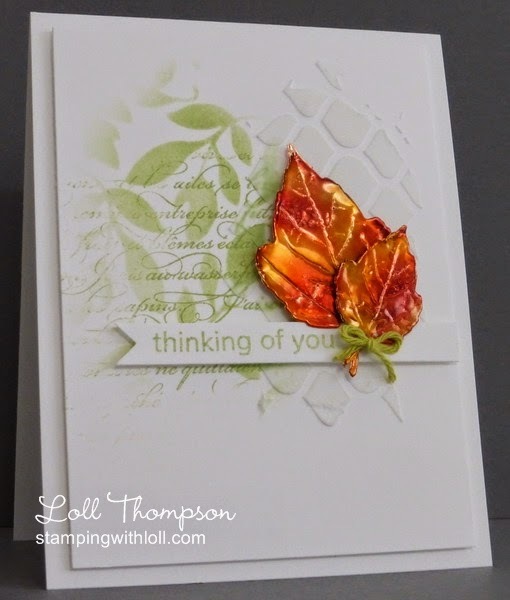 And I hope you'll join in the fun at Debby's blog and share your favourite makes for 2014! I sit here dreaming eyed soaking in each of these cards Loll! I love them all! You are so good at all you do, and I can't even imagine that you were frustrated with water coloring! I love the card you sent me and it will be going into a mini album that I am making for my cards that I receive, or that is the plan anyway. lol I can't bear to throw any card away! Then there is the copper you do, oh my I do love how that always looks! And the mix media really blows my mind, I just love all the goodness of that! Yes, you have picked out great ones this time, although I'm sure all 240 of them were fabulous! I could never have narrowed it down to 5, Loll! You continually inspire me and I look forward to every post! Your friendship means so much. Here's to a fabulous 2015! I could never pick a favorite of yours because they are all so beautiful and inspiring. You try so many different techniques that give us all the push we need to try them, too. Have a Happy New Year full of more crafting goodies. Loll this is a stunning series of creations, a true showcase of your wonderful creative talent. Its hard to pick a favourite. Thank you so much for sharing them with your bloggy friends. Stunning collection! Love them all!! Just realised this morning that I had scheduled my top 5 for yesterday but that it didn't happen, silly me forgot to click publish! Wow, how did you manage to narrow that down?! You are so talented, Loll, and this little selection really proves that. They are all so beautiful and I agree, that CBS sentiment set is fab-u-lous! What a beautiful collection ..... each one simply stunning! I'm looking forward to seeing what you create in 2015. You know I simply LOVE your creations Loll, don't know how you managed to choose just 5! Fab selection of makes! Happy New Year. wonderful selection and i think i have most of them pinned!!! looking forward to more of your lovely creations in 2015 - and best wishes for a fantastic year!! I'm glad I didn't have to choose your best five creations, no way I could have decided between all of the fabulous cards and such you made this year!! Thanks so much for always leaving such kind and supportive comments on my blog, they mean so much to me! Here's to another year of laughter, love and crafting! I don't know how you picked just five, coz I have so many favorites of urs :) Hope you have a very Happy new year ! FABULOUS cards Loll! I could not have picked just 5 of my favourites of yours - they are all stunning! Beautiful selection of cards, Loll...in fact, many of them are my faves of yours, too! CAS Mixed Media is very difficult to achieve, and you have truly mastered this combination! Love them all! Gorgeous cards Loll! You are such an inspiration! Happy New Year to you! 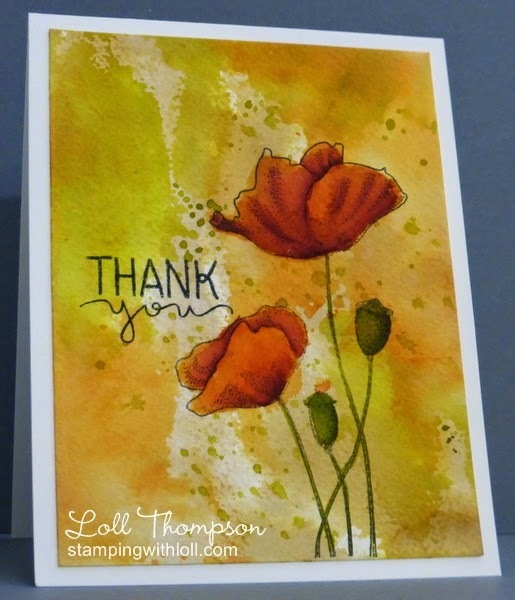 Wow...you have showcased some beauties from a fabulous year of designs my friend! You are such an inspiration...never would have started making CAS cards if it wasn't for you :) And I am so blessed to have received a couple of these beauties! Happy New Year! Wow - I am so super impressed by your ability to combine CAS, color, techniques, and mixed media to create these stunners!! Each one gas something very special and unique about it - I enjoyed studying each one!! So well done and your talent is inspiring!!! 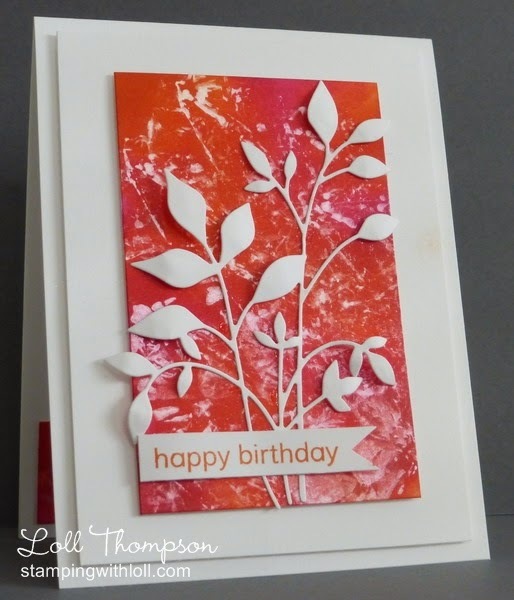 Your favourite cards are gorgeous, especially love the mixed media. Thank you for joining my Favourite Five of 2014.